Are you tired of losing your good employees and being left with bad employees? Do you wish you could keep the good ones and get rid of the bad ones? Do you know the root causes? Are you willing to do something about it? When a really good employee leaves do you think about how much you really lost or how much you would give to get them back? 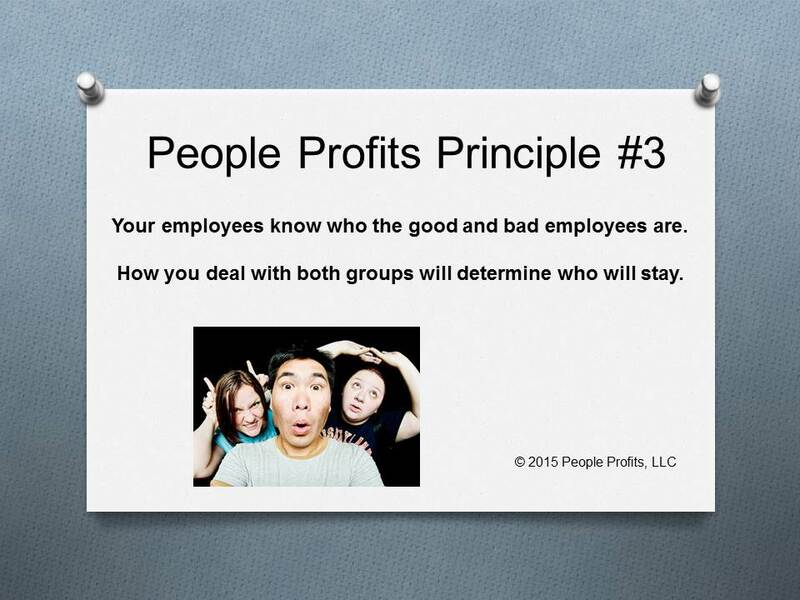 Your employees know who the good and bad employees are. If you allow your bad employees to do bad behavior with no correction or discipline - the good employees will leave. If you show by your actions that you want good employees, your bad employees will leave and your good employees will bring you better employees.